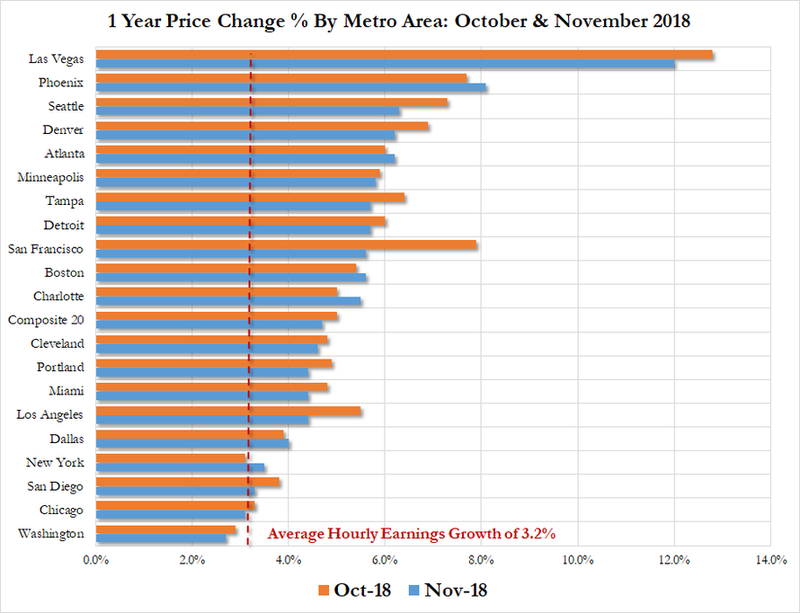 Minutes after Pulte Homes' CEO warning that 2019 will be a "challenging year" for homebuilders, Case-Shiller reports its 20-City Composite price index rose just 4.68% YoY in November (dramatically below the 4.89% expected and the 5.02% October print). The data further underscore a slowdown in the housing market, along with figures showing sales cooled throughout 2018 as mortgage rates increased, compounding the problem of affordability for many potential buyers already facing steep property prices and scarce supplies. 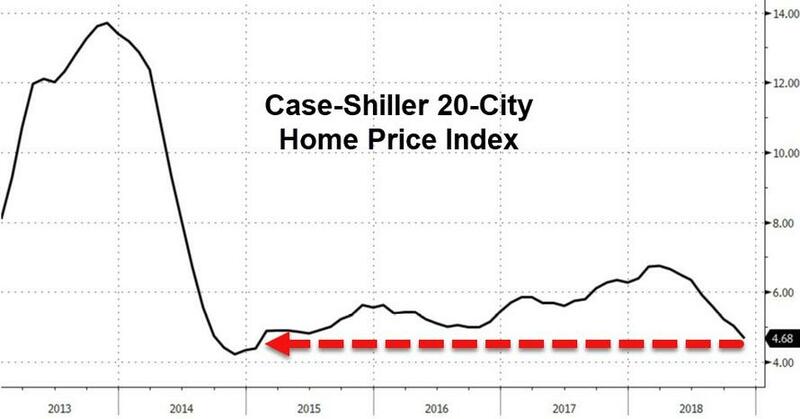 “Price increases are being dampened by declining sales of existing homes and weaker affordability,” David Blitzer, chairman of the S&P index committee, said in a statement. Finally, as Bloomberg notes, housing will likely weigh on US growth for the first time since 2012. Residential investment has added a few tenths of a percent to economic growth each year since 2012. The latest GDP data indicate the sector subtracted from growth in the first three quarters of this year. Poor performance in 4Q implies the sector's growth for 2018 remains in negative territory.